Hey, This stuff really works! "During the past five to six years I have seen several different health practitioners from both mainstream Western medical practice and alternative medicine, trying to address a number of different health problems and challenges that I have been experiencing. 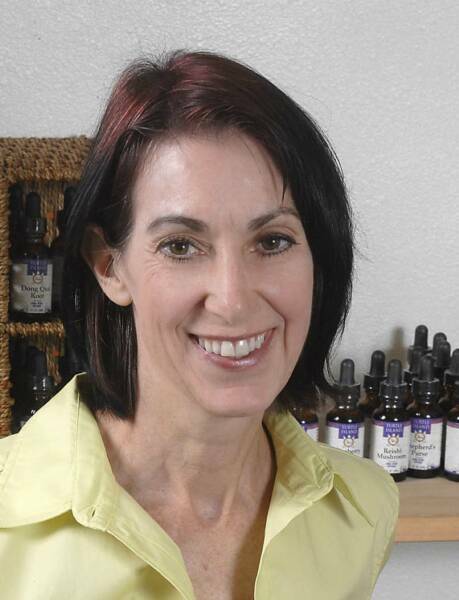 I have seen Western medical doctors, physical therapists, naturopaths, chiropractors, and acupuncturists among others and have never had much success or satisfaction with anyone until finding Wendy. Wendy was able to get to the core causes of the health problems I have been facing and draw upon a very comprehensive and diverse healing knowledge and background to develop the healing approach that was perfect for me. I have seen more results in three months of Wendy’s help than the past six years with all other health professionals. After spending a lot of money and experiencing extreme frustration at not seeing any results with other health professionals, I am finally seeing results due to Wendy’s ability to accurately evaluate my health issues. I am extremely grateful to have found Wendy and have benefited greatly from her wisdom and skill as a healer. "Though I have only received the blessing of Wendy's healing services for a single year, I have moved forward with tremendous success on my healing path. My health challenge has simply been fatigue. After quite a few years of researching ways to heal my low energy levels, including avenues in western medicine, finding no relief or lasting success, i would almost always return to my past habit of using the artificial energy of caffeine that would further defeat my success in healing this fatigue syndrome. Then I was guided to Wendy Bodin. After my very first evaluation and healing session with Wendy, within three weeks I truly began feeling improvements in my energy levels. In that first session, and all my following sessions with Wendy, I have always felt comfortable and cared for in her presence with her character and compassion. Wendy's focused intuitive skills coupled with her practiced and experienced kinesiology testing abilities, have gone deeper and deeper into my body's innate wisdom to heal itself. Through my body's and Wendy's wisdom, using herbs, nutrition, and flower essences, i have been, and continue to experience improvements in my energy levels, to where I now feel rested when arising in the morning, and I do not even think about caffeine anymore! Through Wendy's skills and knowledge, and above all else, her ability to educate me in how to heal myself, I am well into the recovery of my energy and self-empowerment. I recently moved several states away from Wendy and her practice. I don't believe I would have been able to make this transition with my wife to our desired location without Wendy’s help. Away from Wendy now, with what I've learned from her about self-care, my improvements continue. I'm practicing what I've learned, notably; better nutrition, self-empowerment to exercise, self-empowering affirmations, enthusiasm (what enthusiasm I already had, enhanced by Wendy's positive perspective), and continuing to use flower essences. I'm still experiencing climbing energy levels over here in Arizona, Wendy Bodin! Thank you very much! Sincerely & Gratefully", sammie L.